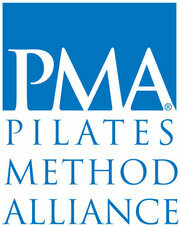 What Is Professional Pilates Fitness Training? Your Pilates Lifestyle is a Power Pilates certified classical Pilates studio in Seminole, Florida. Since opening in 2010, midway between the Bay Pines Veterans Administration in St. Petersburg and the beautiful Gulf Beaches of Florida’s West Coast, Your Pilates Lifestyle has helped hundreds of students achieve and maintain a healthier lifestyle through low impact fitness training. Experience the unequalled physical and mental benefits you get from low impact professionally trained and certified Classical Pilates fitness instruction. You’ll leave your workout energized, alert, and ready to tackle whatever challenges the day ahead may hold! Save $80 right now! 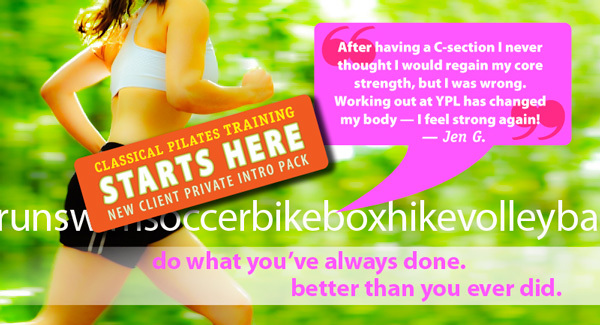 New clients can take advantage of my 4-for-3 Intro Pack. Discover for yourself how Pilates fitness can refresh and renew your body’s capacity for a more active and vibrant lifestyle. Your Pilates Lifestyle is conveniently located just minutes from Bay Pines, Redington and Madeira Beaches, Treasure Island, Indian Shores, Indian Rocks Beach, Largo, Clearwater, St. Petersburg, and Pinellas Park, as well as the Bardmore and Bayou Club communities. When you choose YPL as your fitness partner, convenient online scheduling makes it easy to manage and schedule your Pilates training activity. You’ll train like a pro on professional studio-grade precision equipment, free from the distractions of a club setting, in a clean, private, and comfortable boutique environment. My small group classes and personalized private sessions are by appointment only. Your results depend on the intensity of your workout, your general Pilates experience, individual fitness goals, and overall physical condition. Your Pilates Lifestyle studio is conveniently located minutes from nearby Gulf beaches, at 6400 Seminole Blvd, Seminole, Florida. Take control of a new, healthier you — call or head online today to schedule your first visit.